The big day finally arrived yesterday, after 2 mock examinations, twice weekly classes for the past 1 year and lots of practices at home, not to mention a big hole on daddy’s pocket. After a week long drought and extremely sweltering weather for the past 1 week, it poured like it never before yesterday, during our drive to the examination centre. And shiats, we were caught in a mini flood and could not get down the car when we reached the place. After waiting for 15 minutes in the car and no sign that the darn ferocious rain was going to ease a bit, hubs got down the car with a teeny weeny half faulty brolly that was in his car, carried Sherilyn down… and next carried me down. I had to laugh all the way when hubs carried me like a baby down the car. It’s been ages since he last swept me off my feet like a white knight, literally… LOL! Sherilyn with M, who is the same age as her. They attended the same pre-school together, learn swimming together and her mum and I are childhood friends from the same school in Ipoh. Moments before going into the exam room. That pretty lady on the right is one of their ballet teachers. There are no pix of the ballerinas in action as no one else but the students are allowed into the room. After the exam, we stopped by our favourite bak kut teh place to take-away. 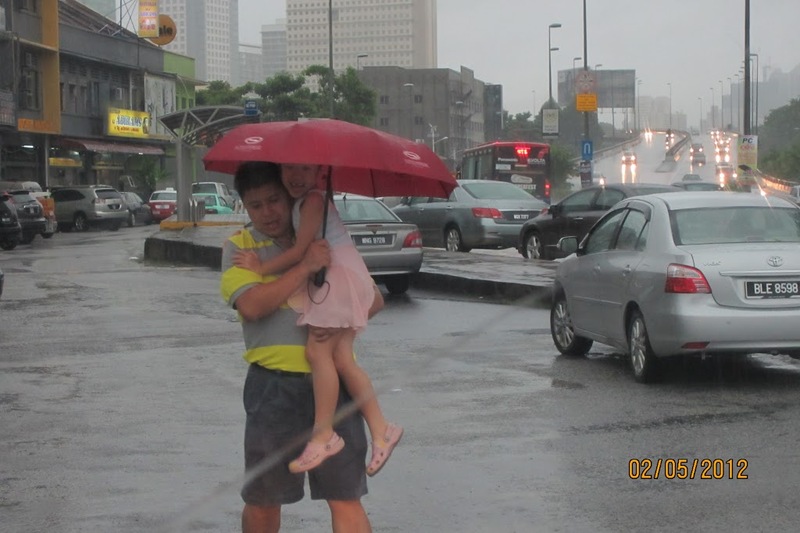 Sherilyn had to get down the car to ease herself and daddy had to carry his princess so that she would not get wet. She was grinning from ear to ear I tell you, whilst her white knight was huffing away! She is definitely one daddy girl. Hahaha! I m trying to imagine how did the hubs carried you down …..
Rachel, he held brolly with one hand and carried me with the next… left the door opened while he walked me to the corridoor. The car seats were all wet. Hope Sher passes with flying colours. All the girls look so prim and proper b4 entering the class. Backs so straight. Such good posture! so sweet! cannot imagine my hubby carrying me like that, i’m not as light as you la. well done sher! i can feel your parents beaming with pride coz i am now. 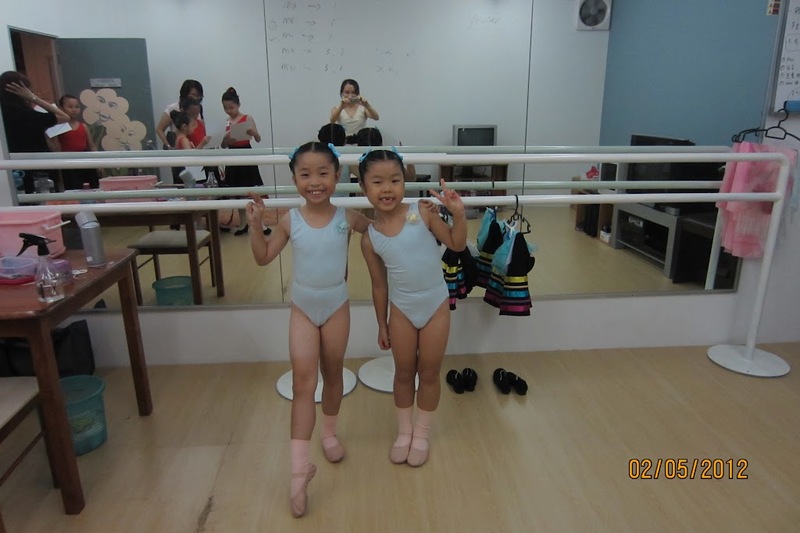 Sherilyn look confident in her ballet costume. I’m sure she will pass with flying colours! Syn, eh, you are not fat at all la! Kitty, I hope she will, tks! Adrine… yup the ballerinas are taught to hv good posture. Hopefully Sher will pass with a good grade.